SANTA ROSA, Calif. (KGO) -- The search is on Tuesday for the owner of a dog found injured after being hit by a car in Santa Rosa. It happened on Santa Rosa Avenue just south of Todd Road. His tag indicates his name is Mr. Man. 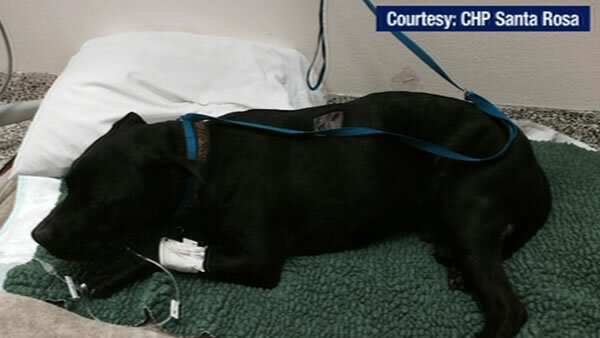 He's recovering at an animal hospital in Rohnert Park. Mr. Man does have a chip, linking him to Nevada. Hospital staff are now working with the Nevada Humane Society to track down the owner.